In 1968, The Beatles Were The Biggest Stars In The Music Business and times had changed from the innocent atmosphere in 1956 when a young truck driver named Elvis Presley shook up the world. Many people wondered if Elvis, with his movie career and fluffy soundtracks,. was still relevant... and then in 1968, HE SHOWED _UP ON TELEVISION, in black leather with his rock 'n' roll fire burning just as strongly as ever, leaving no doubt in anyone's mind as to just whose party the bands of the late sixties had crashed... They may have been big, but ELVIS WAS STILL THE KING. He followed his success on TV by beginning the work that would keep him busy for the rest of his life, performing live in front of his millions of fans. THE COMEBACK is a look at the last phase in Elvis Presley's storied career, the phase that cemented him forever as the greatest entertainer the world has ever known. 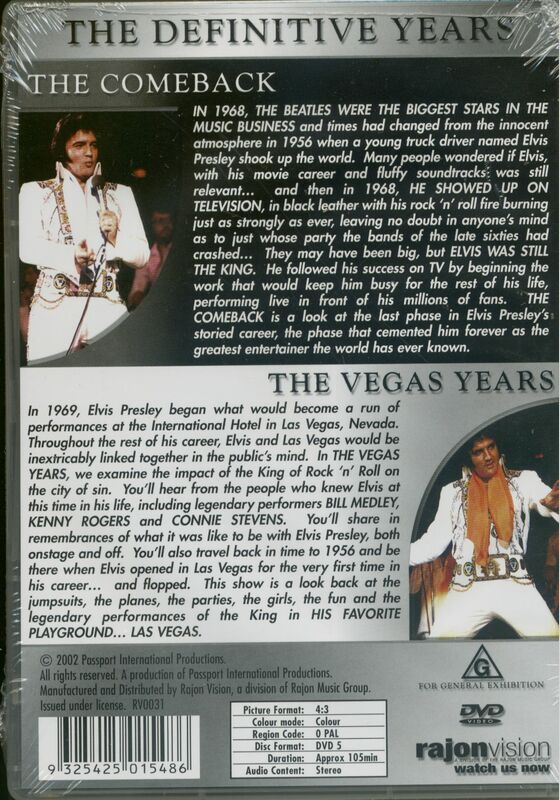 In 1969, Elvis Presley began what would become a r performances at the International Hotel in Las Vegas, Nevada. Throughout the rest of his career, Elvis and Las Vegas would be inextricably linked together in the public's mind. In THE V YEARS, we examine the impact of the King of Rock 'n' R the city of sin. You'll hear from the people who knew E this time in his life, including legendary performers BILL Mi KENNY ROGERS and CONNIE STEVENS. You'll share remembrances of what it was like to be with Elvis Presley onstage and off. You'll also travel back in time to 1956 there when Elvis opened in Las Vegas for the very first time in his career... and flopped. This show is a look back jumpsuits, the planes, the parties, the girls, the fun an legendary performances of the King in HIS FAV, PLAYGROUND... LAS VEGAS. 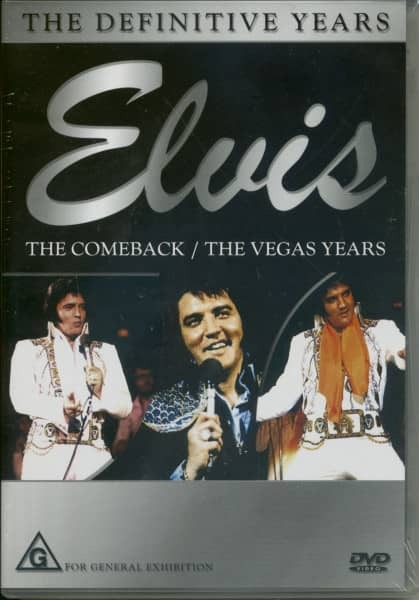 Customer evaluation for "Elvis - The Comeback & The Vegas Years (DVD)"